Kipfilet in groene curry, Thaise aubergines met verse groenten, basilicum, kokosmelk en spaanse peper. Varkenshaas met pittige peper in oestersaus, verse groenten en heerlijke krokante basilicum. 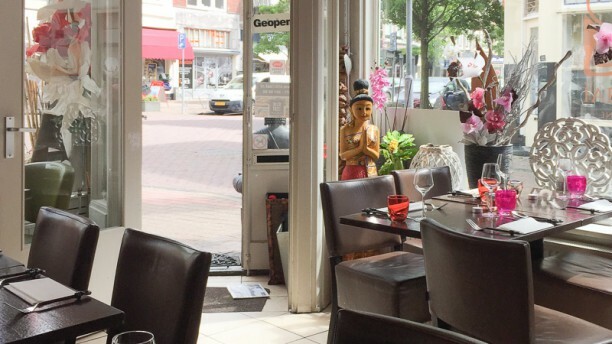 Eendfilet in Panengcurry met verse groenten, basilicum en kokosmelk. Garnalen met verse groenten, huisgemaakte rode peper en krokant gebakken basilicum. This small Thai restaurant has not become IENS topper 2016 for no reason! Here they serve authentic dishes like pho pia, keng kieuwwan and phad thai. Let yourself be adviced and pampered by the friendliest staff. The buddha's and bamboo decorate this place so that the Thai experience is complete. Siri also has opportunity for take away. Small, really friendly restaurant with great food. Delicious food. Slow service. Waited at least 20 minutes for water. Overall, very nice evening!! Awesome food with strong flavors and a good amount of spice. Staff is also very friendly. Super flavours and presentation in a cosy setting. Great serving staff who truly care. Highly recommend!! !